More than 500 military couples have come to Alaska for marriage enrichment training through the Samaritan's Purse project since 2012. 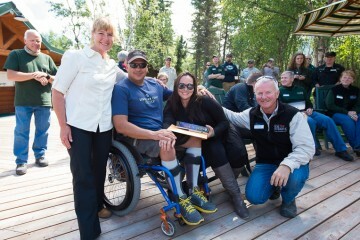 Ten military couples arrived Sunday, August 30, in Alaska for Week 14 of this year’s Operation Heal Our Patriots program—putting our four-season total at 506 couples. “Operation Heal Our Patriots focuses on healing the marriages of those wounded in service to our nation,” retired Marine Brigadier General Jim Walker said. 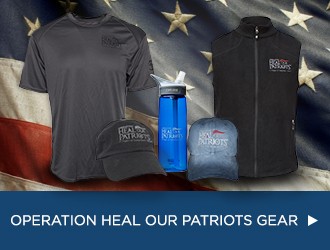 He is the Executive Director of Operation Heal Our Patriots. 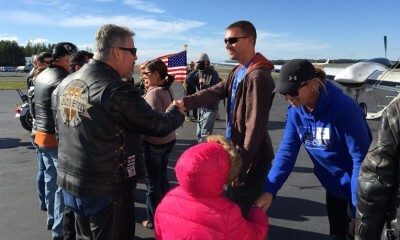 The Anchorage Chapter of the Black Sheep Harley Davidsons for Christ welcomed Week 14 couples to Alaska. 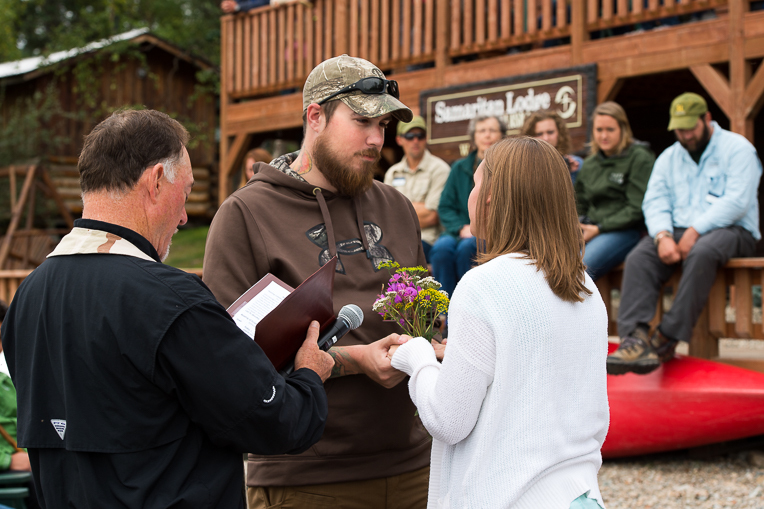 Operation Heal Our Patriots flies military couples to America’s last frontier for a week of Bible-based marriage enrichment training at a pristine location on Lake Clark. Samaritan Lodge Alaska staff and volunteers provide a loving Christian atmosphere for husbands and wives as they enjoy guided activities such as fishing, hiking, and wildlife viewing. Our retired military chaplains share the Gospel, offer daily devotions, and facilitate eight sessions of marriage classes. The chaplains also provide personalized counseling to individuals and couples as requested. An aftercare program is in place to follow up with these patriots for years to come. The project is open to married couples in which a spouse has been injured or wounded in combat or combat-related activities after the terrorist attacks of September 11, 2001. Participating couples (so far) have ranged in age from their early 20s to late 40s, hail from 45 different states, and represent the U.S. Army, Marines, Navy, and Air Force. 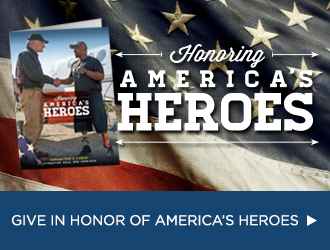 Many of the veterans have served multiple deployments to Iraq or Afghanistan or both. Some have been shot, some have lost limbs, a high percentage of participants have survived improvised explosive attacks, and numerous ones have seen their comrades killed in battle. Wounded while serving in Afghanistan, Army Corporal Joseph Silvestri attended Week 11 this year with his wife Heather and recommitted his life to Christ during that time. Joseph and Heather Silvestri rededicated their marriage to Christ and each other while in Alaska. “I was able to get past a lot of anger and hatred I had from military experience and seeing stuff happen over there and things I had to do,” he said. The couple from Baytown, Texas, also renewed their marriage vows in Alaska. We thank God for the spiritual harvest He has given since the program started in 2012. More than 210 couples have rededicated their marriages to Christ and each other. Nearly 200 individuals have received Him as Savior and Lord. Over 220 have been baptized in Alaska. 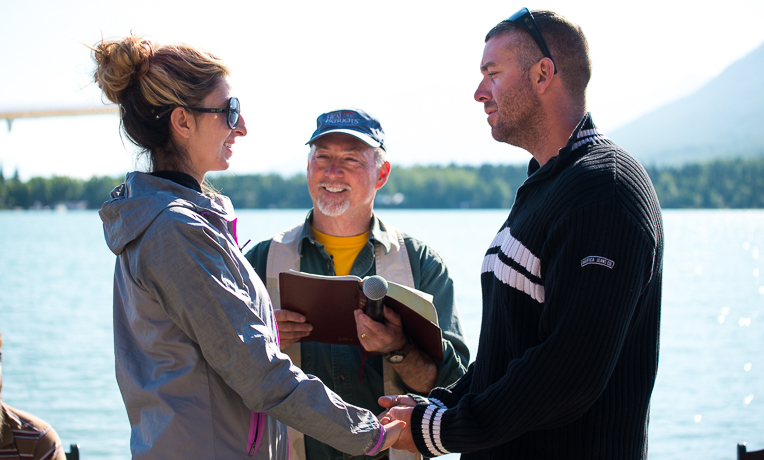 John and Amanda Margaritondo renewed their vows in a lakeshore ceremony led by Chaplain Jim Fisher. Marine Sergeant John Margaritondo of Tarpon Springs, Florida, trusted Christ as his Lord and Savior during Week 5 this year. He and his wife Amanda also rededicated their marriage to God and each other. In 2012, there were only 12 weeks of summer programming at Samaritan Lodge. This year there will be 16, including one week for Canadian military couples. The number of cabins has expanded since our first year and now we can accommodate 10 couples each week. A new chapel was also constructed on the grounds in 2013. Applications to the program have risen significantly each year. Mark (front right) and Sandy Lang (front left) manage Samaritan Lodge Alaska and have lived in the area since 1976. The couple is pictured here presenting a Bible to some of our Week 8 participants, Matt and Ange Marie. Please pray for the remaining military couples who will be traveling to Alaska this summer. Ask God to open their hearts to His healing love.